Carol’s passions for cycling, food, and the outdoors are the driving forces in her 25+ year career! Carol’s Italian family is based in Castellania, a small town in Piedmont—the same small town where the historical icon and legendary cyclist Fausto Coppi was raised. She was inspired by the stories of her Italian cousins, aunts and uncles there who were the childhood buddies of her big hero Fausto and who shared endless stories with her about his early cycling and training days. Impassioned by the stories and enamored by the freedom of discovery and travel by bicycle herself, she began a personal quest to cover all the local training roads of Fausto Coppi as well as the local foods and wines of her beloved second “home” in Piedmont. Over the years Carol has designed and led walking and cycling trips in Tuscany, Umbria, Marche, Lazio, Piemonte, Lombardia, the Dolomites, Emilia-Romagna, Veneto, Friuli-Venezia, Liguria, Sicily, Puglia, Corsica and Sardinia. She has also escorted tours in Turkey and in Croatia. 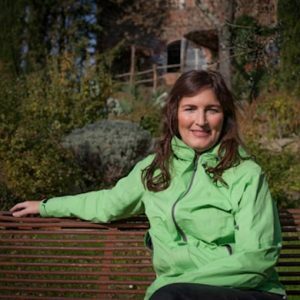 An active runner, hiker and cyclist Carol currently lives in the Valdarno area of Tuscany with her two boys, Mattia and Daniel.